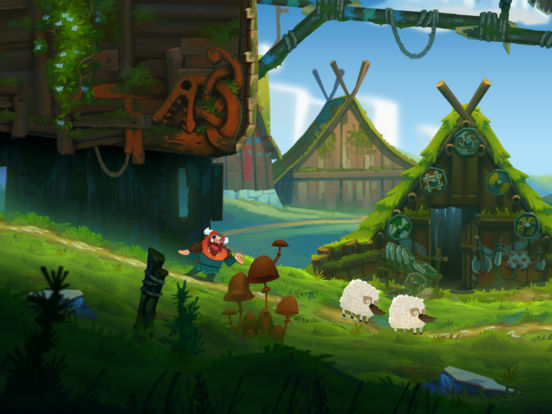 Oddmar struggles with life in his village and is not worthy of a place in Valhalla. He is shunned by his fellow Vikings and must redeem himself of his squandered potential. One day he is offered an opportunity to prove himself, but at a price... IMMERSE yourself in an epic Viking story animated as a motion comic. 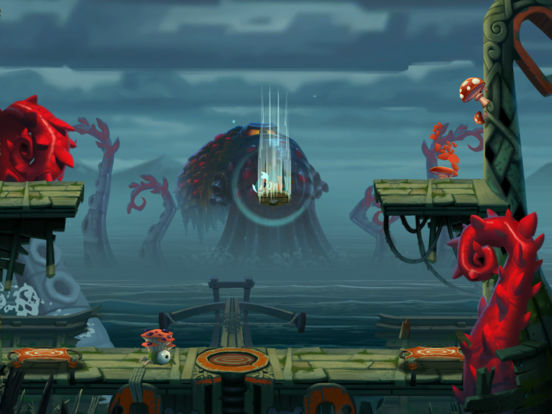 JOURNEY through 24 beautifully hand-crafted levels of physics-based puzzles and platforming challenges. DISCOVER your true power with magically imbued weapons and shields. ENCOUNTER new friends and foes on your journey through magical forests, snowy mountains and treacherous mines. Produced by the development team behind the award-winning and critically acclaimed Leo's Fortune. 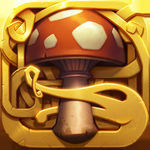 Oddmar supports iCloud game saves and game controllers. 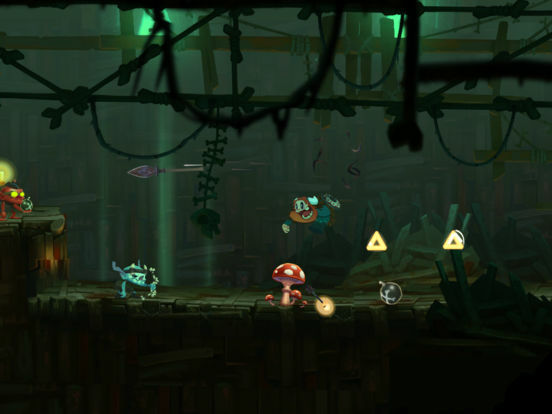 An internet connection will initially be necessary to complete the download of app data for Oddmar. This game is so good, and so well-made, that it deserves your purchase regardless of the state of the market that it's in. But I see so many people complain about the state of mobile gaming. This is the game that you want, it's a fun platformer without in-app purchases that is absolutely stunning, and feels like it was made for mobile. With the rise of free-to-play across gaming, and the struggle to sell paid games on mobile, there might not ever be a game like this that releases on mobile first, or they're at least going to get rarer and rarer. Buy this game right now. It's worth it, and maybe if Oddmar is a hit, it'll show that developers can put a ton of work and resources into more of these games and have it pay off. We’ve seen many high-quality platformers for mobile devices so far, but, by my beard, Oddmar is a game on completely another level. In fact, I would gladly give it 10/10, but I’m afraid that, when euphoria and all those mushrooms wear off from my system, I would feel a bit stupid. So check out the box below, and see what Oddmar actually got. As a platformer fan, I love Oddmar. The game is visually amazing, and the music is top notch. Controls are nice once you find your preferred setting, and the gameplay is challenging. It's all rather humorous too, which makes it even more charming. And while there are only 24 levels right now, it will take some time to get through them all considering the length, as well as the hidden secrets to collect. Oh, and there are Dream levels to finish too, so the replay value is high. 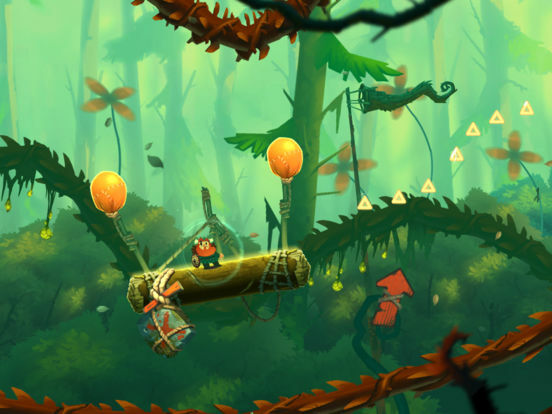 Oddmar, even as an abbreviated experience, is one hell of a game and easily one of the best platformers on the App Store. Everything about it smells of effort and dedication to the craft. This is a game that respects me as a player, not as just another potential whale to siphon money out of. As a platformer, Oddmar is among the best ones available on the App Store. It takes tropes from the genre and rearranges them into tight little packages that feel great to run through. It may not be the most original game out there, and its story may leave a little to be desired, but don’t let that stop you from enjoying this phenomenal platformer. 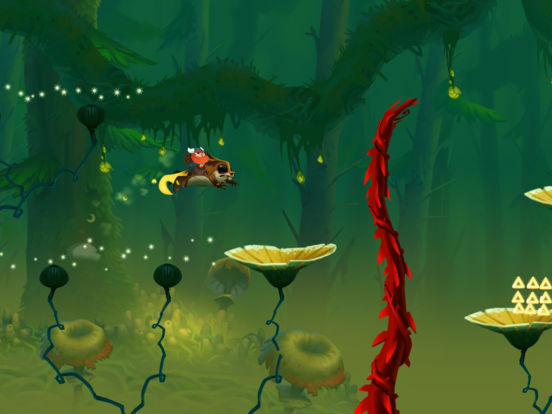 Oddmar looks absolutely stunning, and while the game underneath it all feels familiar, there's enough great ideas here to shine through. Oddmar è molto probabilmente il miglior platform 2d di stampo classico attualmente disponibile su piattaforme mobile. Il lavoro di Senri e Mobge è infatti un gioco dagli elevati valori produttivi, che accanto ad una componente grafica sontuosa affianca una meccanica di gioco non certo originale ma assolutamente convincente, gratificante e ben realizzata, che per di più funziona più che decentemente coi controlli virtuali senza far rimpiangere troppo un pad vero e proprio. İşte Türk yapımcıların imzasını taşıyan Oddmar, sadece mobil platformlarda değil, diğer oyun sistemlerinde de bulunan platform oyunlarına kafa tutacak kadar başarılı bir şekilde karşımıza çıkıyor. Yani baştan söylemem gerek, mobil bir oyun olmasına karşın Oddmar'ın konsol kalitesinde bir platform oyunu olduğunu belirtmeliyim.